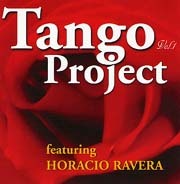 World famous lyric Argentinean tenor Horacio Ravera sings recognized, danced to and beloved tangos (including one that he wrote himself) in this enhanced CD. It also includes classics like La Cumparsita. Three DVD-video tracks are also included which feature internationally acclaimed dancers Carlos Copelo and Alicia Monti. The music is soooooo romantic it made me want to put on my red dancing shoes, find a partner and tango the night away! you turn down the lights, light a candle, and unwind." Need I say more? I love the pure and unadulterated sound of the old Stratocasters. This is a great CD. 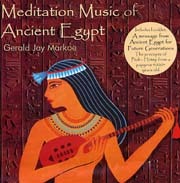 Listening to this music, I felt as if I were in ancient Egypt, relaxing on a tapestry of silk while someone fanned me. This recording uses ancient Egyptian scales and models of ethnic harps, string and wind instruments, bells, crystal bowls and wind chimes. It also includes an instructional booklet on ancient spiritual teachings. One of the precepts in those teachings is Follow your heart all the days of your life. This was practiced and taught by Ptah-Hotep in the years 2388-2356BC, nearly 4000 years ago. This music is excellent for massage sessions and relaxation. This CD is a first-time collaboration featuring flute and two sitars. The Mishras are a father and son duo who live in the holy city of Benares, India on the Ganges River. They are from a musical family spanning seven generations. Here they perform ragas, the ancient patterns of melodic movement meant to evoke a certain mood or feeling. 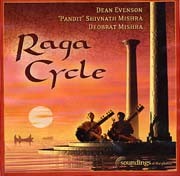 The ragas on this CD are meant to follow the days cycle from morning to evening, and to evoke the moods or emotions of each particular time of day. Perfect for meditation, these were once performed before the royal court for this purpose. Evensons magical flute weaves in and out of the ragas and intertwines with beautiful female voices. Water holds secrets and powers of healing, and Shockey has definitely captured this essence in these seven compositions. Perfect for spa treatments as well as meditation. Instruments include Native American flute, silver flute, violin, oboe, guitar, piano and soft rhythm sounds. Natural springs deep within the mountains are said to have mystical powers, and this CD brings this nourishment to life. Peaceful and giving, the water spirits live inside these tunes. This wonderful collection of original instrumental tunes is both unique and refreshing. His melodies capture life in the making they are light and happy as well as thought provoking, and instill a deep sense of hope and contentment. The lakefront is brought to life with its sunny days, thunderstorms and the peace and calm it offers those who visit. Perfect for meditation or background music. 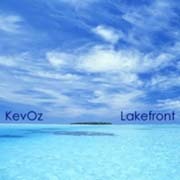 If you dont know Kev Oz, try this one! These elegant soundscapes take you on a long, slow journey inward for the purpose of self-discovery and healing. The outside world melts away as you slowly travel inside yourself to find things you never knew existed. This is perfect for meditation and relaxation. 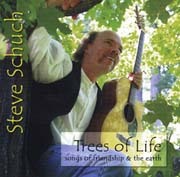 Steve Schuch is an award winning musician, author and storyteller. He was classically trained on the violin and is an accomplished singer/ songwriter as well as the author of three books. His words are simple yet deep, and this CD speaks to children as well as adults. The lyrics encourage us to think about "nature, community, and the way our world interconnects." The songs inspire creativity and the CD booklet contains explanations of the songs and hints for teachers and parents for student participation. This is great for the classroom (grades K-5) and for sharing with your children. Besides being a contemporary jazz composer and pianist, William Woods is a doctor of radiation oncology who treats cancer patients. He dedicated this CD to five of his patients. The album title contains a medical reference Cobalt Blue refers to a radioactive substance used to produce x-rays. These original compositions were written during periods of self-exploration and letting go. It goes farther than his first CD, A Doctors Dilemma, digging deeper into the complexities of being human. Great for background music and a must for all you jazz lovers! * To artists and labels submitting CDs for review: Please let us know where our readers can purchase your CDs.